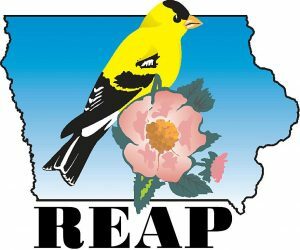 ICEC is proud to announce that we have been awarded a Resource Enhancement and Protection Conservation Education Program (REAP CEP) grant to support a new project entitled “Charting a Course for the Future of Conservation Education in Iowa: A Needs Assessment and Action Plan.” The grant was awarded at REAP CEP’s board meeting on June 15th at the Fort Dodge Public Library. ICEC’s year-and-a-half long project will assess the state of conservation education (CE) in Iowa. Using surveys, interviews, and a statewide summit in February 2019, ICEC will gather information and bring together CE stakeholders from across Iowa to discuss CE priorities and make recommendations for building CE capacity. Results and recommendations will be provided to stakeholders and the public in a report and action plan. ICEC members and friends are invited to participate by completing an online survey which will be released later this fall, take part in a group or individual interview, and attend the summit in February 2019. Keep watch for a Save the Date! If you are interested in being more involved with this project, please contact Alicia at exec@iowaee.org for more information.